In the Middle Ages all the corn grown in Sutton had to be taken to the Manor Mills at the bottom of Mill Street to be ground into flour. This milling monopoly continued after Sutton became an independent town in 1528, but by the 1570s change was on the way. There had been economic growth, and wealthy men were looking for ways to invest their capital in profitable concerns – water mills offered the ideal investment. Thomas Gibbons of New Hall purchased the Manor Mills of Sutton Coldfield in 1582, and proceeded to build a brand new corn mill near Wylde Green Road on his New Hall estate. New Hall Mill, with its set of four pairs of millstones, was a commercial venture, competing for the milling trade with other local mills as well as with the town or manor mill. Every 21 years the lease of the mill came up for renewal, and millers prepared to pay the annual rent could make a good living. The new tenants of New Hall Mill in 1709 were two Birmingham bakers, who probably had other mills; they succeeded John Powers, who also had the lease of the old town mills - the actual miller in 1708, Samuel Twamley, continued at the mill under the new tenants. New tenants were required to keep the mill in good repair and to make improvements but in 1709 it was the owner of New Hall, George Sacheverell, who agreed to rebuild the derelict miller’s cottage. In the 1790s William Twamley was the tenant of the mill, and he had gone to great expense to keep up with new developments in milling, including building the present 2½ storey structure to replace the old single-storey building - his lease was renewed in 1795 at an increased rent of £84 per annum. The demand for flour increased in the nineteenth century as more and more people came to live in the industrial towns, and the stones at New Hall Mill were kept turning 24 hours a day seven days a week by the four millers employed there. The Dutton brothers, new tenants in 1861, laid out nearly £800 on bringing the mill machinery up to date, but five years in to their lease William Dutton died, and the remaining sixteen years of the lease were transferred to Adcocks of Tamworth, who paid £1,000. By 1900 the march of progress had consigned watermills to the fringes of corn-milling, and the decline continued. Most of the milling done at New Hall Mill in the 1920s was for animal feed; by the 1960s very little grinding was being done, and the mill seemed doomed to disappear as the other water mills in Sutton had done. 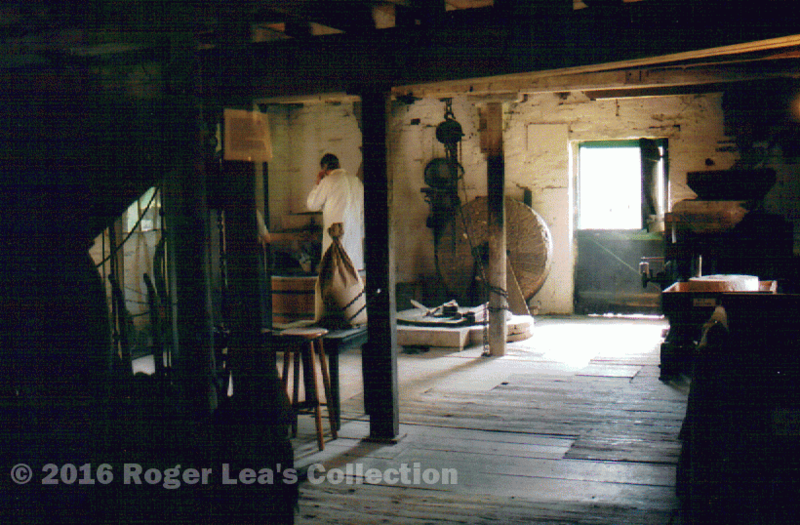 But Sir Alfred Owen, the owner of the New Hall Estate, decided to restore the mill in 1970 so that it could be shown to visitors, and corn was again being ground into flour by the great millstones powered by the waterwheel.